September 26, 2010 — I limit myself rather extremely on some of my favorite things in the world. In this particular case, I'm talking about Vincent Price movies, although it applies just as easily to Edgar Allan Poe stories and Pop Tarts flavors. You see, I don't want to live in a world where I've seen every single Vincent Price movie. I always want to be able to anticipate that one more new experience with his work. Unfortunately, it's not Halloween without him, so each year that passes gets me closer to that anti-goal. Granted, I'm actively pacing myself, but it'll only work if I'm dead by 45. The other night, that one movie closer was Universal Picture's The Invisible Man Returns. 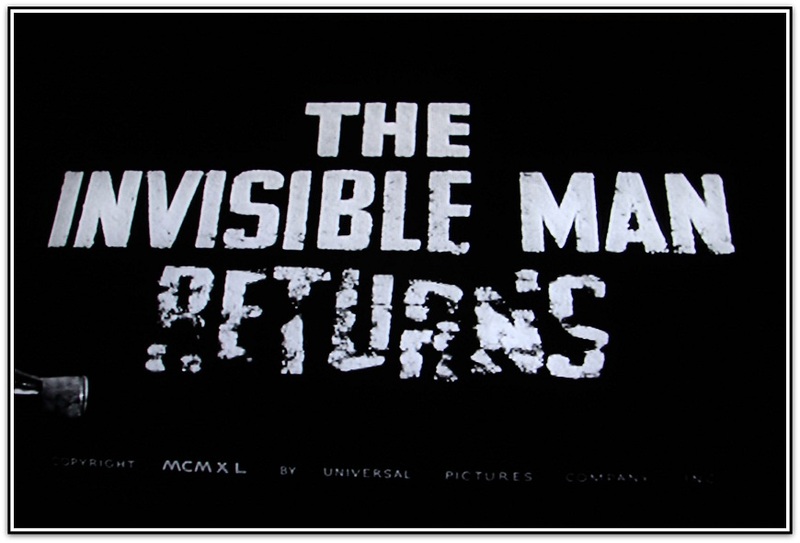 Released in 1940 as a sequel to the 1933 film, The Invisible Man, Vincent Price takes on the mantle of invisibility and inevitable insanity previously and masterfully borne by Claude Rains in the original. 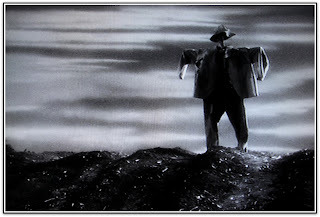 And, if you're going to film a sequel, Price seems a perfect choice to follow up the maniacal, sadistic, and hilariously petty character that Rains gave horror cinema, a character that more than holds its own among the other famous Universal monsters, even though later allusions to him forget just how monstrous the Invisible Man is. I’ve never done an official body count, but I’m pretty sure he killed more than all the other growling, shuffling, leering, lurking Universal monsters mashed together. His is, after all, the only mass murderer in the bunch. Anyway, we all know that Price could out-maniac the worst screen fiend with a mere twitch of his razor-thin mustache, so why not let him fill the empty shoes of Claude Rain's transparent terror. 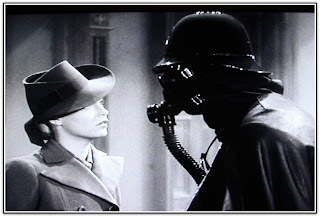 However, truth is, Price wasn't a horror icon in 1940. 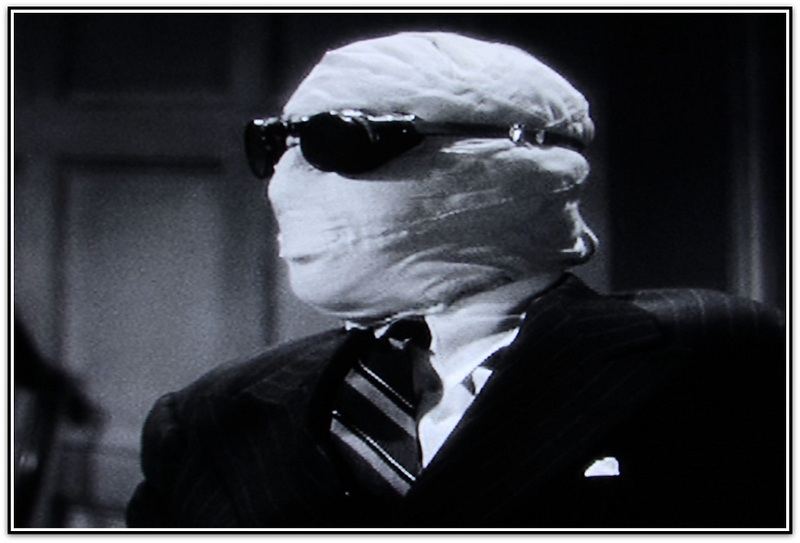 The Invisible Man Returns was actually Price's first horror movie, and he wouldn't become identified with the genre until 13 years later after his performance as Professor Henry Jarrod in the 1953 film House of Wax. And, honestly, there probably was a reason he wasn't typecast after Returns. It’s just not that great of a movie, and only intermittently creepy. Besides a lack of imagination in the story, Price's character is a bit more limited than Rains. In the original Invisible Man, Rains not only created the monocane serum (for some reason changed to “duocane” in Returns), but was the only man who could find the cure. In Returns, which takes place nine years after the first one, Price takes the serum from the scientist brother of Rain's original character to escape a hanging sentence for a murder he didn't commit. As a result, the invisibility is a bit more incidental to what drives Price’s character. He still goes insane, though, making for a chilling/funny little dinner scene, depending on your mood. In addition, the invisible Price (strangely enough, a synonym for “hidden fees”) himself doesn't get any face-time until the end of the movie, so up to that point you have to recognize him by his voice, which again you'd think would be easy. This is Vincent Price, after all. But, like I said, this was pre-horror icon price. So the voice we get wasn't Thriller Vincent Price...not even The 13 Ghosts of Scooby Doo Vincent Price. It was a pretty straightforward, sometimes even pedestrian vocal performance...except when he started going crazy. In those scenes, you can almost read the future of Vincent Price by the number of goose bumps his laughs conjured in the flesh on the back of your neck. 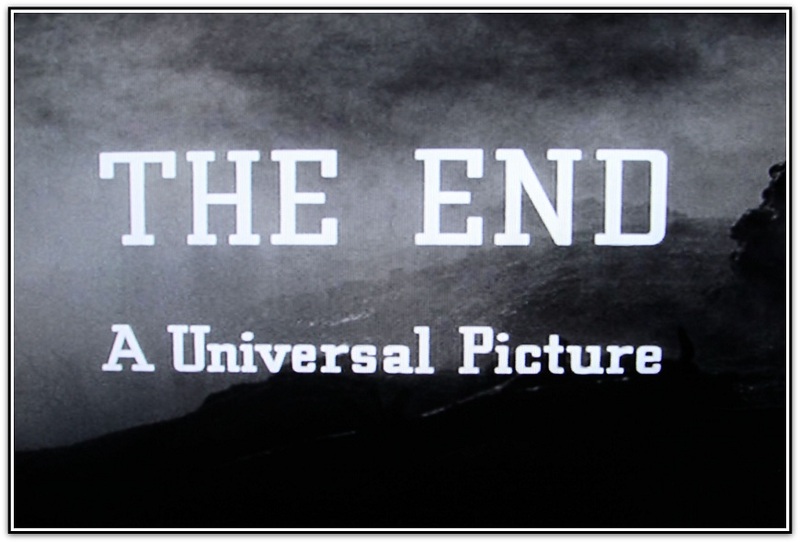 And all of that becomes clearly evident when we finally see Price at the end of the movie. When he rematerializes, we see the young, fresh-faced, unmustached Price that, in an alternative universe, became the romantic lead he was supposed to be in this one. Our own is a better one just for that fact. And because in ours we invented corncob holders. As to the main conceit of the movie, the invisibility, there surprisingly aren't a whole lot of gags that weren't used in the first film. Plenty of shots of disembodied clothes being taken off/put on, the still-eerie image of empty eyes inside a head covered in bandages, people being abruptly “pushed” out of the way, a few floating objects. The one exception is the invisible guinea pig harness, a phrase that for some odd reason, Universal Pictures never trademarked. As you can tell, it's not the best Vincent Price movie. Like many others on his resume, Price is the saving feature. However, you could do much worse on a nice Fall night. And there are other, more minor reasons to watch it, of course. For instance, you get to see Alan Napier, who will always be Alfred to Adam West’s Batman for me, play a drunken degenerate. You get to live for 80 minutes in a now-fantasy world of By Jove’s and cigar smoke. You even get to receive the eternal wisdom, “Under no circumstances allow him to take off his clothes.” I have the feeling that’s going to come in handy in my life now that I have it in my arsenal. 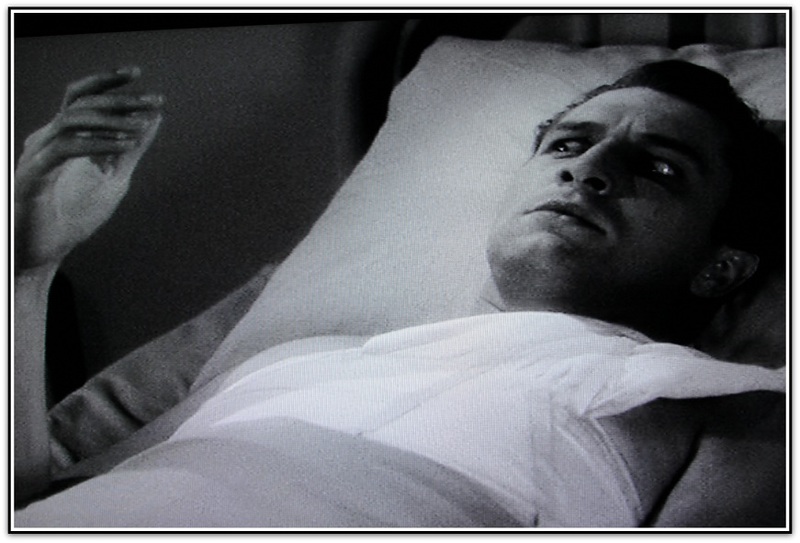 At the very least, The Invisible Man Returns laid the foundation for the later Abbot and Costello Meet Frankenstein cameo by Vincent Price. That’s certainly worth a whole movie. Read about my visit to the grave of the original Invisible Man, Claude Rains. Great post! A much underrated Price film finally gets its due. Thanks! And did you mean to write the words monsters and mash in the same sentence? Because it gave me some Halloween giddiness.